History bears testimony to the fact that thirty years after the death of the Prophet Muhammad (peace be upon him) in 632 A.D, the Umayyad dynasty came to power. They ruled the Islamic empire with brutal force and. tyranny, bearing little or no concern for the Islamic principles that the Prophet had striven so hard to establish. Mu’awiya b. Abu Sufyan, who founded the Umayyad dynasty and proclaimed himself the sole ruler of the Muslims, appointed his son Yazid to succeed him. After coming to power in 680 A.D, Yazid sought to legitimize his position as the leader of the Muslims by seeking support and allegiance from the Muslims. By seeking recognition as the undisputed ruler of the Muslims, Yazid not only tried to consolidate his own position but also tried to strengthen his tribe’s vicious stronghold over the Islamic empire. However, a leader in Islam is required to be a source of emulation for his citizens and an exemplar par excellence. His duties include not only that of ensuring that Islamic law (shari‘a) is implemented, but he is also required to exercise temporal and spiritual authority. In order to guide the Muslims, the leader must therefore possess the most exemplary moral traits. Yazid, on the contrary, openly flouted with Islamic laws. He was more concerned with playing with apes and addicted to drinking wine and womanizing. He publicly ridiculed the traditions of the Prophet Muhammad and sought to forcibly impose his tyrannical rule by threatening to kill those who opposed him. 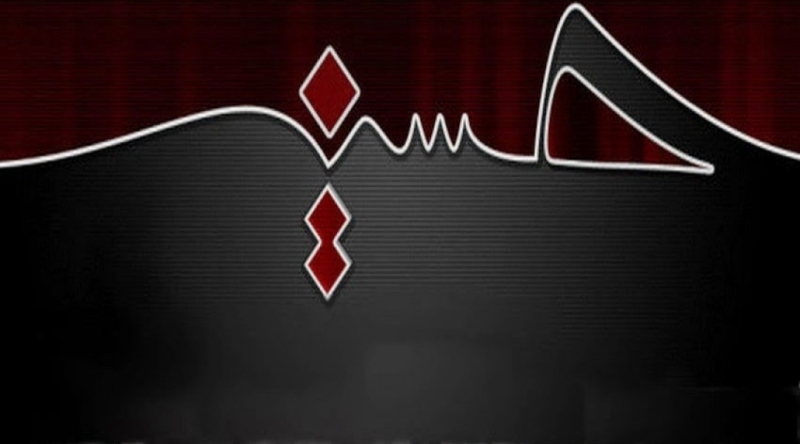 A careful analysis of the speeches and letters preserved by our primary sources indicate that Imam Husayn (AS) perceived the need to revive the religious conscience of the Muslims. His actions indicate that he was aware of the fact that a victory achieved through military strength and might is always temporal because another power can, in the future, bring it down in ruins. But a victory achieved through suffering and sacrifice is everlasting and leaves a permanent imprint on human consciousness. Imam Husayn’s (AS) noble companions shared his determination and were prepared to die for his cause. On the fateful morning of the 10th of Muharram, Imam Husayn (AS) stood in front of his tent with a very small army. 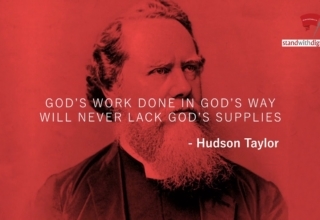 Preparing himself for the forthcoming encounter, he delivered a series of speeches and admonitions to his enemies. He repeatedly explained to them why he refused to submit to Yazid and reminded them of his close proximity to the Prophet Muhammad. He also told them that he would never submit to Yazid rather, he would submit to God only. One by one, Imam Husayn’s (AS) brave companions died in front of his eyes. He witnessed the fall of every one of them, running to the battlefield to retrieve the dead ones and lining their bodies in a row in a tent. As the day grew hotter, the fighting became more fierce. Even ‘Ali Asghar (also called Abd Allah), a six month baby, was not spared. An arrow struck him killing him in his father’s arms. Alone and weary, exhausted and dejected, Imam Husayn (AS) consoled the grief stricken women and children for what would befall them after his demise. After bidding them farewell for the final time, Imam Husayn (AS) confronted the Umayyad army. Attacked from all sides with stones, spears and arrows, the Imam finally succumbed while his womenfolk and children witnessed the horrific scene. As the enemy encircled Imam Husayn (AS) to deal the final blows, Zaynab came out of her tent and cried out to ‘Umar b. Sa‘d the commander-in-chief, “Will Husayn be killed while you are standing by and watching?” Zaynab’s pleas were to no avail. Imam Husayn’s (AS) head was cut off and raised on a spear as a sign of victory for the Umayyad army. The women and children were enslaved and taken to Yazid in Damascus. Imam Husayn (AS), it is true, was slain in the plains of Kerbala. But memories of his supreme sacrifices have remained alive. 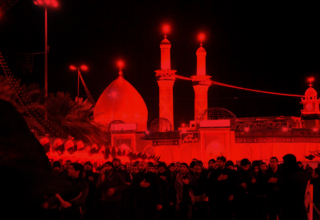 His death stirred the consciousness of the Muslims in general and the people Kufa in particular. 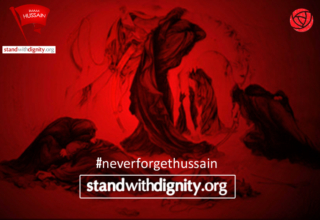 Many of them rose against the Umayyads, avenging Imam Husayn’s (AS) death. 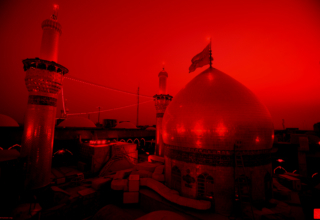 The tragedy of Kerbala will evoke and stir the minds of even the coldest and most stone hearted reader. For Imam Husayn’s (AS) supreme sacrifice provided a model for all the oppressed nations of the world, showing how, through struggle and sacrifice, truth will finally triumph over falsehood. 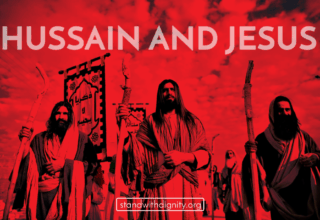 This is shown by the fact that today Imam Husayn (AS) is regarded as a hero and champion of truth whereas Yazid is portrayed as the chieftain of oppression and vices. To you, O Imam Husayn, we send our salutations and greetings. The message and principles you fought for will forever remain alive.